In-migration during and after the Great Recession is likely the most significant cause of Portland’s housing shortage. The evidence suggests that in-migration occurred strongly even during the worst year of the recession. Meanwhile, construction of new housing, usually dependent on an active lending market, came almost to a standstill. The Portland market has always had relatively high demand for housing or low supply relative to population. Thus, Greater Portland was ill-equipped to handle our large influx of new renters. The market has responded to this sharp increase in demand. A mere 1,099 multifamily construction permits were granted in 2010, but that number soared past 6,000 in 2013 and has remained above 6,000 units per year since. Unfortunately, the large quantity of new units simply cannot come online fast enough to make up for the lost years of development between 2009 and 2011. High fees and costs for development also necessitate smaller units, higher prices, and units targeted at high-income renters living in the central city – just where this rental demographic prefers to live. As long as supply lags behind demand, rents will continue to rise and vacancy rates will remain low. While there is some indication that the rate of rent growth has dropped from double digits last year to single digits today, it is hard to know if this is the result of new laws or supply catching up with demand. Developers have been telling us that the City of Portland’s permit and review process is slow and expensive, preventing them from building housing aimed at anyone but individuals at the high end of the income spectrum. Reducing costs and improving approval speeds would help developers bring units online more quickly and efficiently, helping to alleviate the market’s current imbalance. Recently, both state and local governments have been actively attempting to address issues of affordability. Requiring all homes built before 1916 be deconstructed rather than demolished. The construction excise tax is not subject to a popular vote, so it is not possible to judge the public’s reaction. The tax went into effect September 1st, along with the deconstruction requirement for older homes. These are policies that increase the cost of construction for developers, and have the potential to make Portland a less attractive market for development. While it is too early to know the long term effects of these measures, supply side restrictions when vacancy rates remain extremely low tend to work against the cause of affordability. In March 2016, the Oregon State legislature voted to overturn the state-wide ban on inclusionary zoning, giving all jurisdictions the opportunity to implement it. The City of Portland has a task force actively studying the issue, and plans to present final recommendations in October before presenting its plan to the Portland City Council in December. The group’s draft analysis, released in August, indicates that the city finds requiring developments in mixed-use zones to set 10-20% of units at 80% of Area Median Income (AMI) “appears feasible with various incentive bundles.” For podium, steel, and concrete construction, feasibility appears to be limited to 10% of units at 80% AMI. Although inclusionary zoning could help alleviate some of the housing crunch, its effects may be limited to only a small percentage of those most in need. Furthermore, inclusionary zoning can have the effect of increasing housing costs over time by reducing the production of moderately-priced units. Groups such as Portland Tenants United and the Community Alliance of Tenants have called upon the state to eliminate no-cause evictions, and are also advocating an end to Oregon’s rent control ban. Both of these suggestions are likely to result in unintended consequences, such as a drop off in investment and development. A change in zoning laws would be required to enable the addition of a small number of units to a single family lot by adding a story to a building, or replacing a single family residence with a small number of units. Missing middle housing typically includes low-rise townhouses and multifamily buildings. 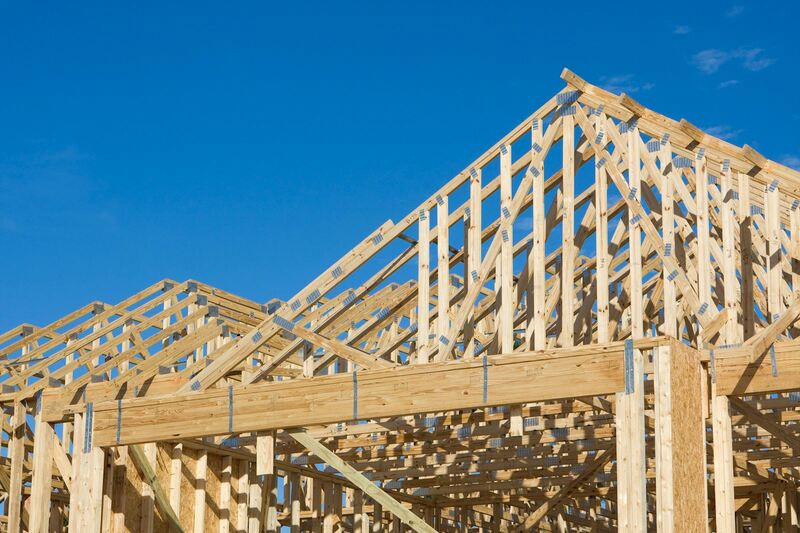 These tend to be small and of wood frame construction, making them less expensive to build. These properties also tend to blend in with existing neighborhoods better than larger high-density buildings. Advocates of this type of urban infill include bike- and transit-focused advocacy groups that see moderate urban infill as a way to alleviate car dependence. Although the City Club of Portland has called for rezoning in major transit corridors, pushback from local neighborhood groups has kept the initiative from gaining traction. In November, voters approved a $258.4 million bond measure for affordable housing. The 20-year bond will be paid for with a property tax increase of $0.42 per $1,000. The City of Portland estimates the $258.4 million collected over the 20-year period will go toward building 1,300 units of affordable housing including 600 units for families making less than 30% of Median Family Income (MFI), and 700 for families making less than 60% MFI. Of these 1,300 units, the city estimates 950 will be new construction and the remaining 350 will be preserved or acquired. The per-unit price of the city’s affordable 1,300 units represents an investment of nearly $200,000 each. The city says it will use the funds to build structures lasting up to 100 years, and that city ownership will ensure the buildings remain affordable. The city attributes the high per-unit cost to its inability to take advantage of private investment or tax credits. As a public entity, it is required to pay additional “social benefit costs,” including hiring union construction workers and complying with its own green building standards. Interestingly, in March, Commissioner Dan Saltzman authorized a study to determine whether some city policies increase the costs of affordable housing projects. The report was expected to be completed in October, but does not appear to have been finalized yet. The affordable housing measure passed November 8th with voters approving it 62.5% (177,416) in favor to 37.5% (106,675) against. The Yes for Affordable Homes campaign raised over $107,000 from local business owners, politicians, non-profit organizations, developers, unions and individuals. Since 1981, Seattle voters have approved one bond and four levies for affordable housing, funding more than 12,500 units and on August 2nd, voters there overwhelmingly approved a seven-year, $290 million levy to renovate or preserve 2,150 units of rent and income-restricted housing. Since the City of Portland revised its MULTE program last year, three properties have been given tax exemptions and the Portland Housing Bureau hopes the program will encourage builders to add 200-300 affordable housing units each year. The North Hollow Apartments, Vancouver Apartments, and Mississippi Avenue Apartments were approved for the MULTE program in December, and will add 81 units of affordable housing to the Goose Hollow and Boise neighborhoods. These projects represent $1.2 million in annual tax savings to developers, or more than a third of the $3 million cap for the MULTE program. North Hollow and the Mississippi Avenue apartments will have affordable housing available to people making up to 80% of MFI, while the Vancouver Apartments will have a cap of 60% MFI. Housing affordability continues to be a major issue in Portland and there is substantial disagreement on the best way to handle the problem. Despite a need to act quickly, the city government and voters of Portland must carefully examine the potential repercussions of all options. Restricting the supply side of development cannot help with affordability. The city must encourage developers to build additional units in order to house its residents. As we have seen, new policies once enacted are difficult to undo. If those policies discourage development, the situation can only get worse.